Do you want to work outside? Do you love spending your time fishing, hiking, drawing, taking pictures, and being in nature? Do you want to make a POSITIVE difference in the world? Did you know that there are jobs that pay you to spend time outside, doing the things you love in beautiful places in your community, state, and around the world? Green jobs, or jobs that work in and manage our natural resources, are broad category of jobs that is growing quickly, meaning there are lots of jobs being added every day! Green jobs include work in: sustainable agriculture, renewable energy, wildlife management, water resources, conservation work, education, and even marketing and sales. For most high school aged students internships are a great way to try out different career paths, explore your interests, develop relationships with people who are in charge of hiring, and build skills that will help you get a job you love! 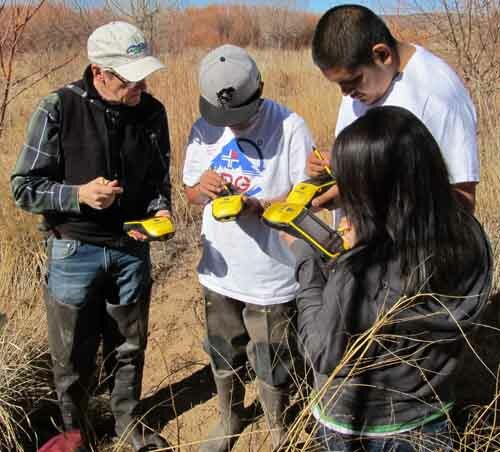 As a pilot project in Spring 2017 River Source offers to Santa Fe Indian School students an opportunity to learn and investigate the rapidly growing green job industry across New Mexico and the United States. Students will be presented with educational opportunities that build on what the students love: being outdoors and utilizing public lands for recreation, hunting, fishing, and for gathering natural resources and materials, working with animals and wildlife, making communities more resilient to climate change (such increasing use of solar energy) and being a positive agent for change. Presentations and discussions will cover diverse green job opportunities and navigating pathways to enter, from technical training programs, associate degrees, bachelor degrees, and internships and apprenticeships. Students will build upon their resume and career training while discovering opportunities that can make a positive impact on our world, as well as their careers and futures. Below are resources that can help you land a great internship or your first job. Tools include tips on finding an internship or job, tips on how to create a resume and cover letter that is tailored for the position, resume and cover letter templates, and interview tips for once you land that interview! Having a hard time finding local internships in the green jobs sector? Be sure to check out local internships here. The pilot project is possible because of a grant from the Frost Foundation. We hope to use this seed money to continue connecting students to career resources and guidance across New Mexico! This Google Document under development —link to page – provides background information on current internship, apprentice, and job opportunities. 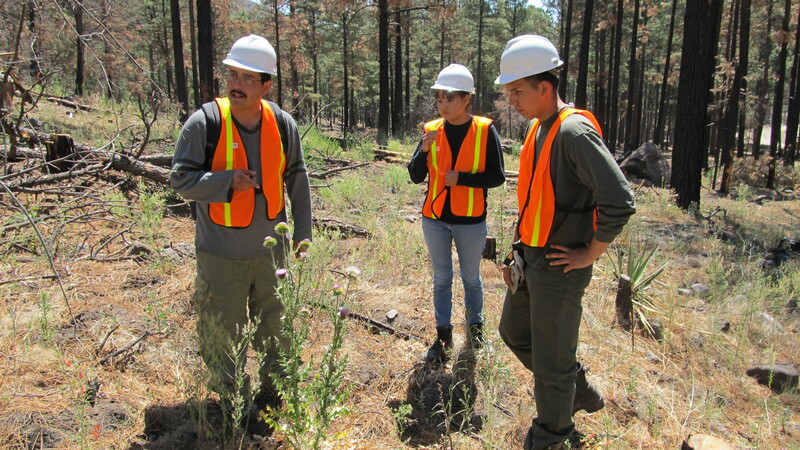 For example as of Spring 2017, the Rocky Mountain Youth Corps is hiring staff to do a variety of work including habitat restoration, building trails and fences, and doing erosion control work in several places around New Mexico. Students learn ways to customize their resume and cover letter in response to a specific green job posting that relates to their interest in natural resources and green jobs. Students assigned development of resume as homework. Students decide what the focus of the next class meeting will be or work will be with interested individuals. How to look for an internship that works for the student in a green industry, including Americorp and student conservation corps. Pathways to careers and ideal areas of study for jobs students are interested in. One-on-one review of cover letters and resumes in response to a specific job posting.